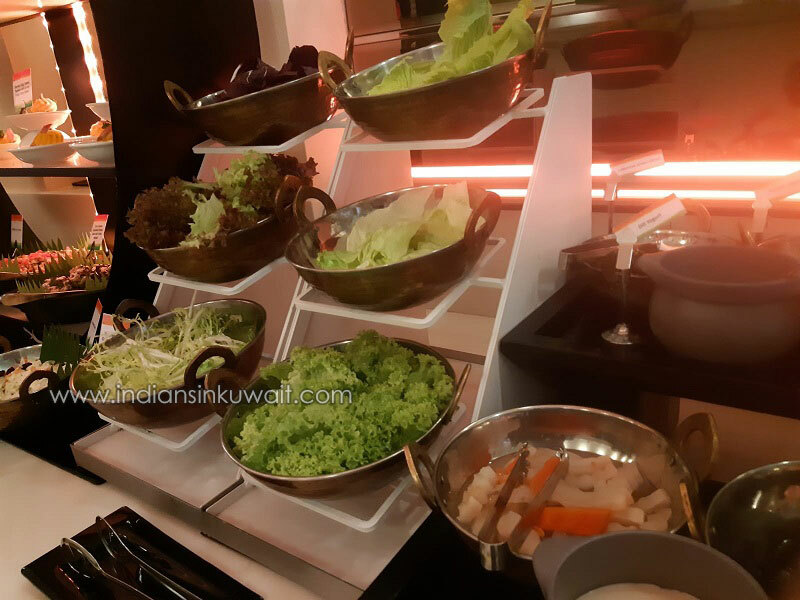 Indian Cuisine is always a delight for food lovers. The delight is doubled when its combined with Indian Live music and live cooking station. 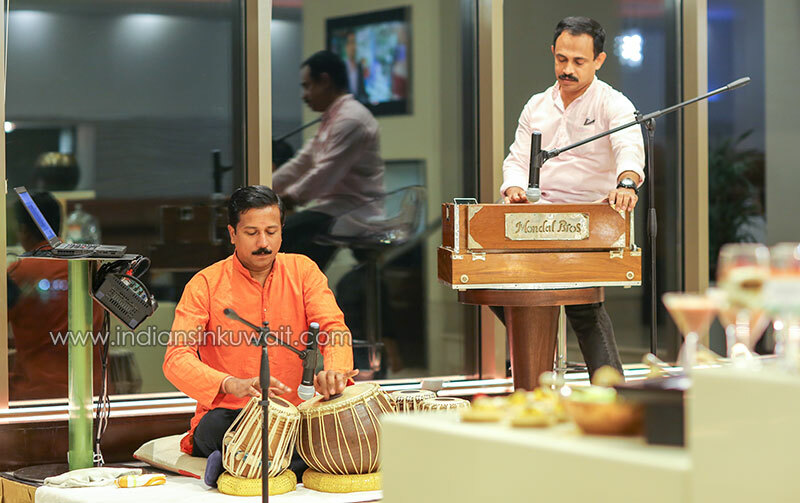 Wednesday evenings at Flavors Restaurant, Safir Fintas Hotel is mainly dedicated to Indian culinary which takes us to a journey to enjoy the finest quality of Indian food stylishly prepared with live Indian Traditional Instrumental Music. 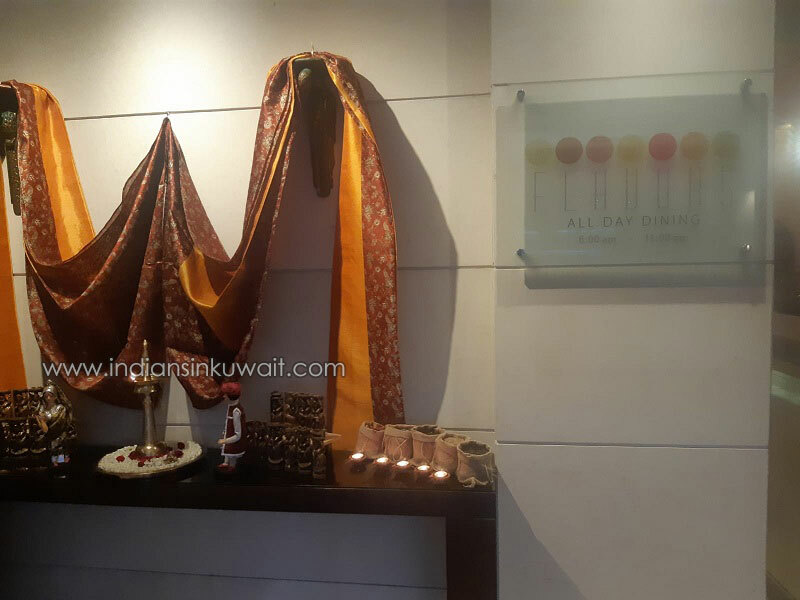 With the theme Flavors of India every step from the entrance of the restaurant promises to be a treat. 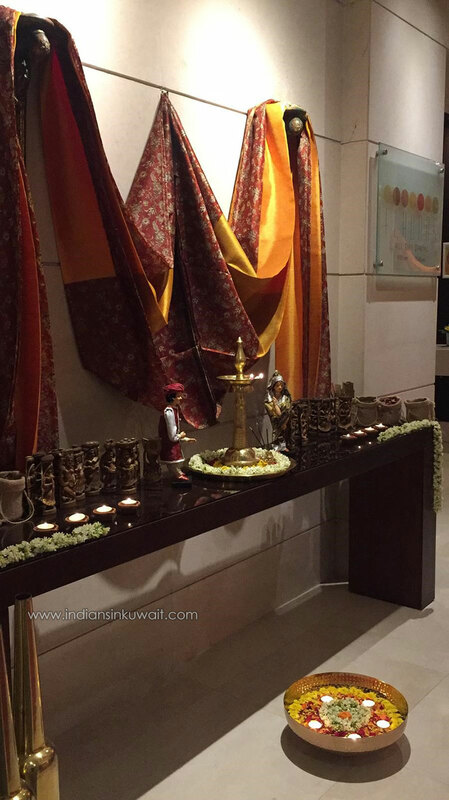 The wall at the entrance and reception area is well decorated with Lamp, Flowers, Indian artifacts and collection of Indian Spices. The whole staff in the restaurant are in the Indian Attire. Tables are decorated with Orange, White and Green table cloths and there is a small India Map on all the tables for those to explore the region. 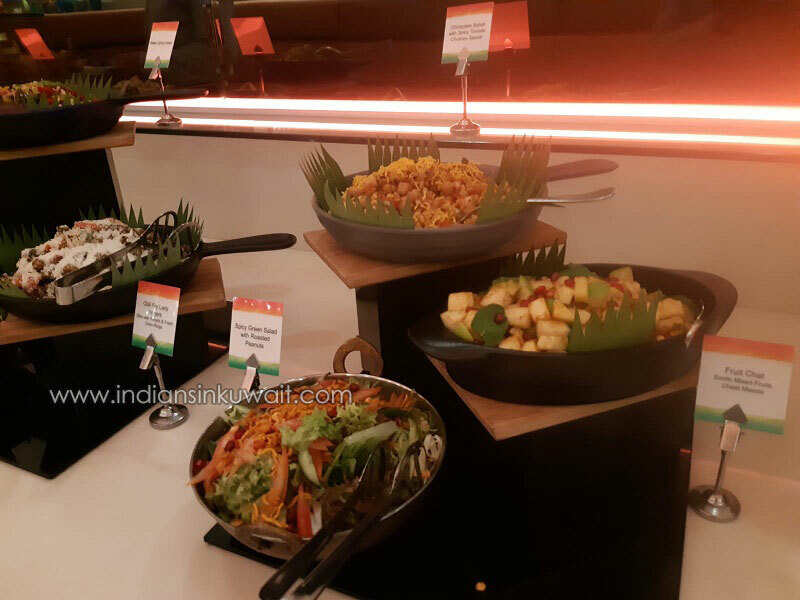 The Indian Buffet spread over the whole restaurant and a live Indian classic instrumental music at the center welcomes us to the Flavors of India. 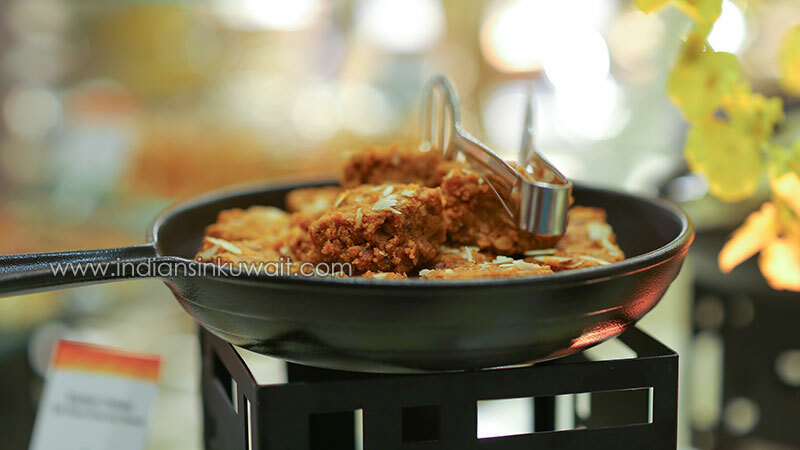 The Restaurant simply captivates you with its quaint settings and spacious interiors. We could see the hues of Orange, White and Green everywhere in the Restaurant. Entering the restaurant, we knew our culinary journey to India had begun. 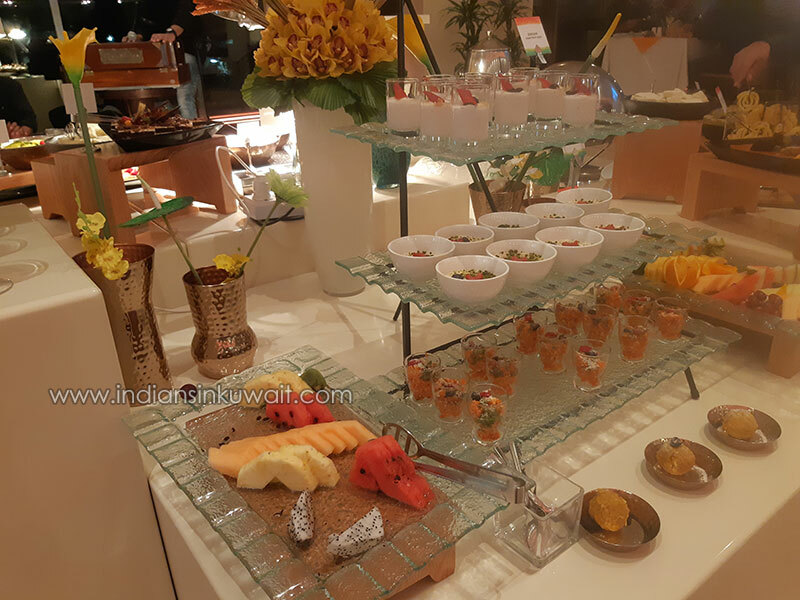 Starting with a selection of surprising Indian drinks, fresh Salads, Pickles, Chats, Appetizers, leading to flavorful Main Dishes, lavishing Sweets and Desserts the unique Indian Food experience has everything to excite you. 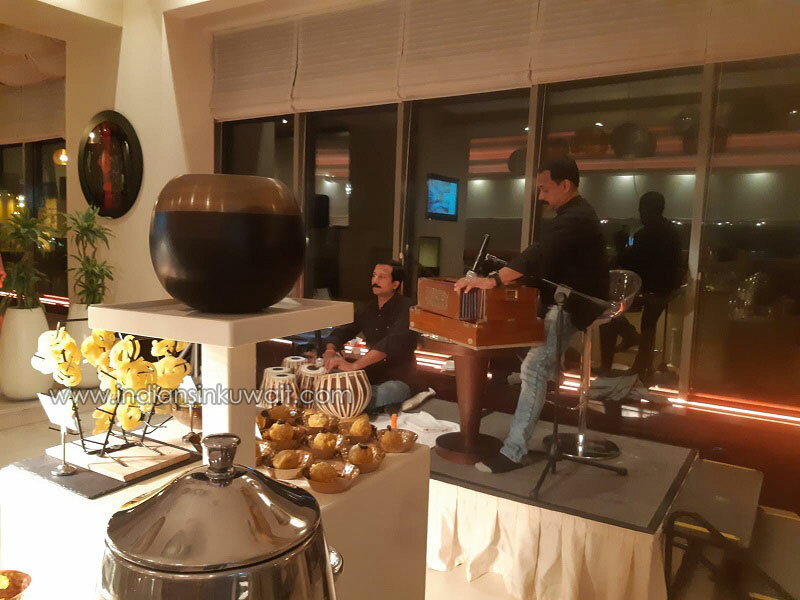 Artists exhibiting their exceptional talents live on Tabla and Harmonium gives you a relaxing experience. The buffet was visually so attractive. It starts with welcome drink Sweet Lassi, Mango Lassi and Butter Milk. 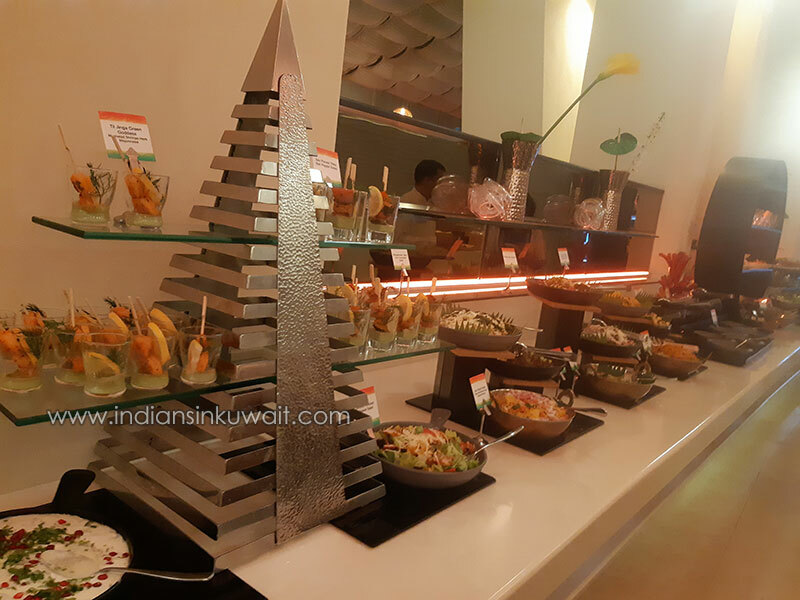 The array of Salads and Appetizers consists of Tandoori Chicken Salad, Deviled egg salad topped with curry fried tuna salad, Sev Papadi Chat, Paneer bell pepper salad chat, Fruit Chat, Jerked spiced Hummus, Kachumber Tabbouleh (Arabic dishes spiced with Indian Spices), Dahi Vada, Eggplant Chat, Aloo Laccha Chat and many more. 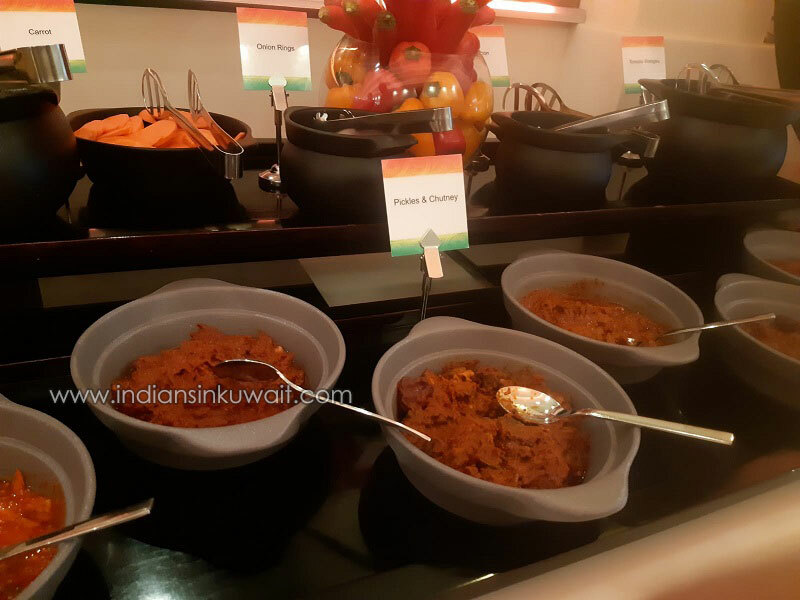 Delightful main course consists of 3 types of Rice - Mutter Pulao, Shrimps Biriyani and Plain white rice. 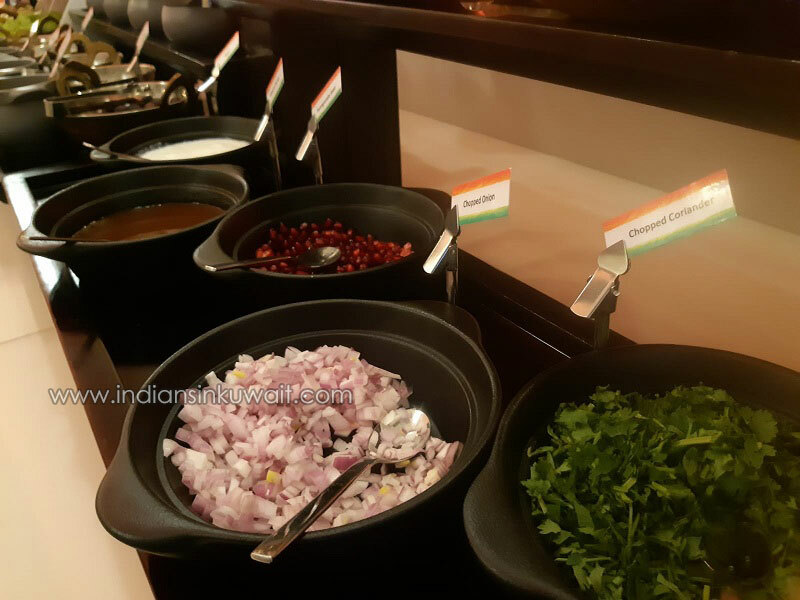 All your favorite Indian curries are available at this buffet spread. Mutton Sagwala, Khadai Paneer, Dal Tadaka, Chicken Butter Masala, Karwari Fried Fish (Semolina dusted spicy deep fried), Baigan Mirchi Ka Salan... all in its traditional Indian taste. For bread lovers, Naan and Kerala paratas also available. Those who want to taste the typical Punjabi Samosa with Tamrind Chutney a special corner is dedicated for these Indian snacks. 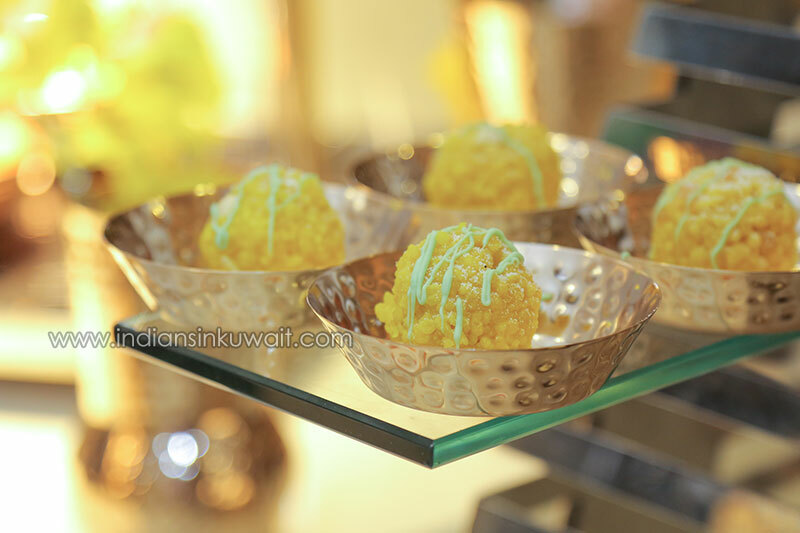 Wide range of Desserts like fruit Salad with Tea Syrup, Black forest cake with Caramel Sause, Rasmali, Rasgulla, Jalebi, Boondi Ladoo, Srikhand, Kulfi, Shahi Tukda with Saffron and many more are arranged in a mouth watering display. They even have a live Cooking Station where Romali Roti and South Indian Appam with Vegetable Stew is prepared. We can stand and watch them prepare the dish after we place the order. Appam with Vegetable Stew is a great combination to try. 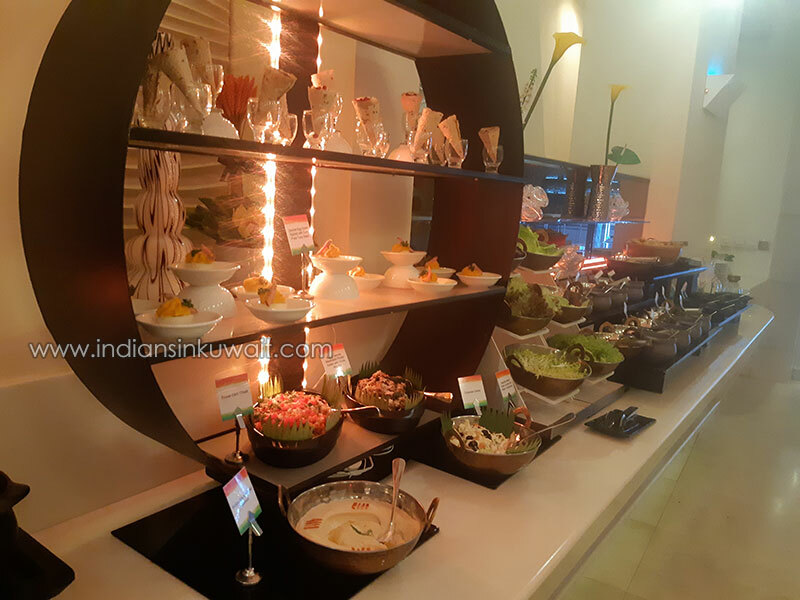 I loved the buffet selections and the variety of Indian cuisines it offers. We loved each and every dish. A night to relish with family and friends. 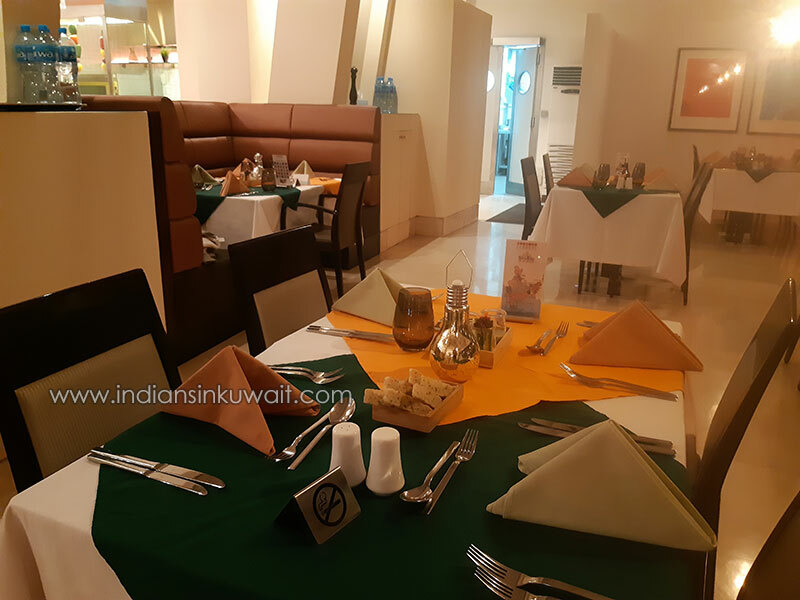 The live Indian music with songs from old 90’s Bollywood movies on the backdrop gave us a memorable and delicious dining experience at Flavors Restaurant. 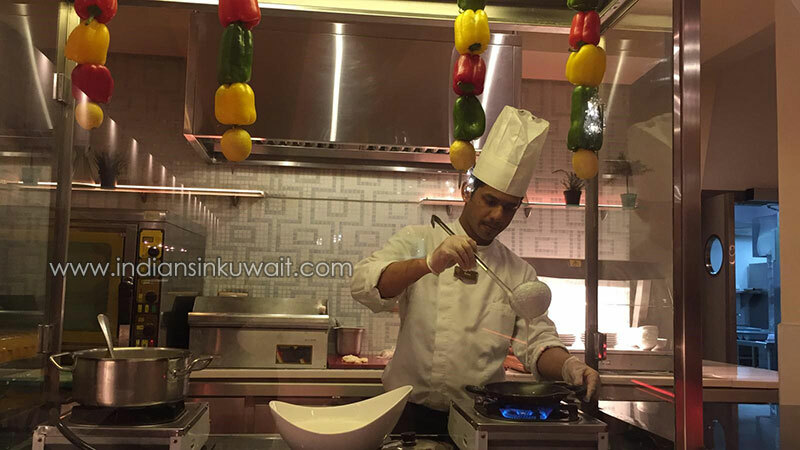 Flavors Restaurant is an all-day dining restaurant serving International Cuisine at Safir Fintas Hotel, Kuwait. They have a seating capacity of 106 dinners. 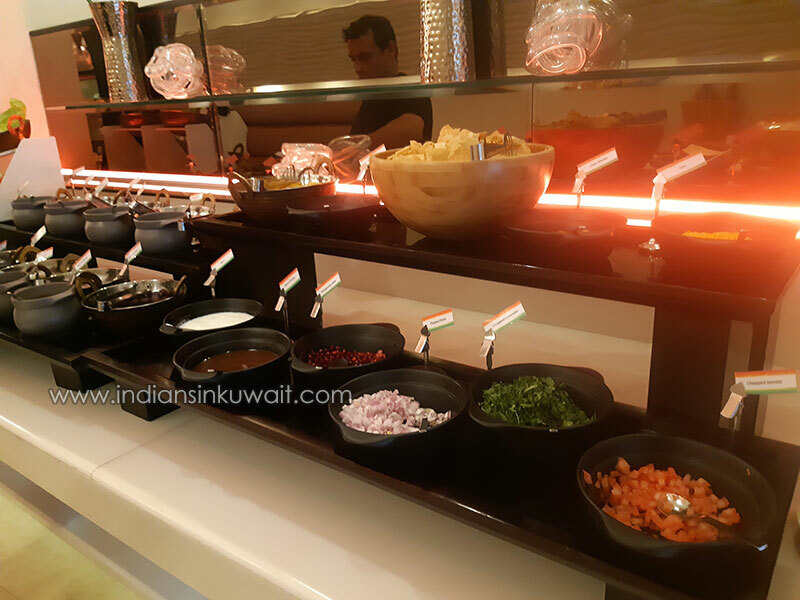 Every Wednesday night is Flavors of India from 7:00 pm to 11:00 pm at 14 Kd per person. They have ample parking space. 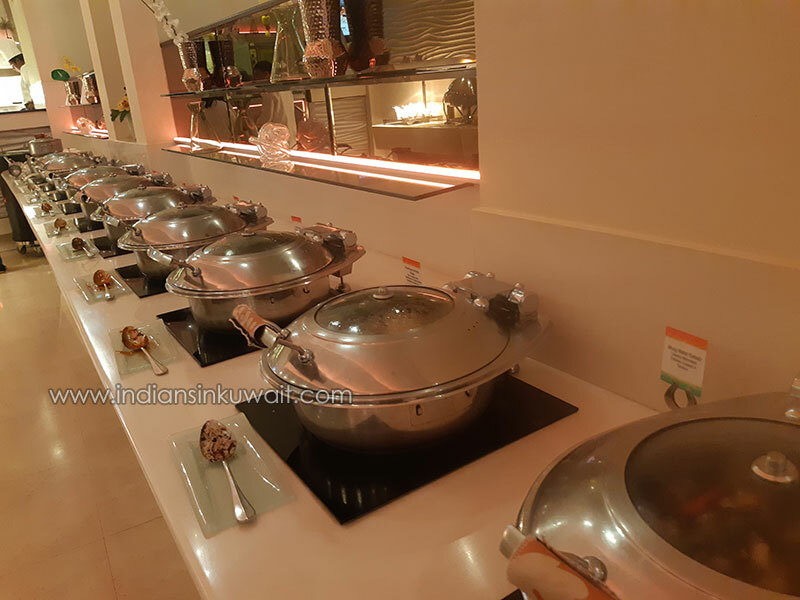 Whether it is your private family dinner or if inviting your close friends for an Indian dinner, the Buffet dinner experience at Flavors restaurant in Safir Fintas Hotel is exciting, memorable and very satisfying.